Ortholine was founded in Israel in 1994. 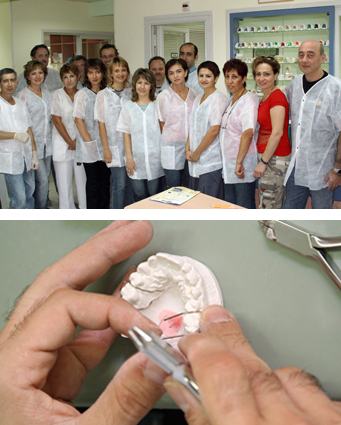 It started as a small laboratory, and today it is the leading orthodontic laboratory in Israel. We currently employ 16 highly-qualified technicians and additionally 3 secretaries and 4 drivers. Our drivers deliver our products all over Israel. Ortholine is also a manufacturer of other medical devices beside orthodontic appliances. The laboratory is well known among the Israeli high tech medical devices inventors. We provide new technical developments and designs of new individual appliances. We arrive at these designs in close consultation with the client.